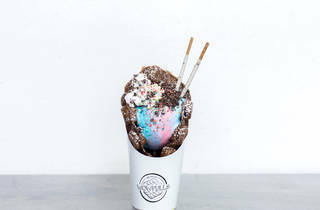 What came first: the treat or the social-media craze? 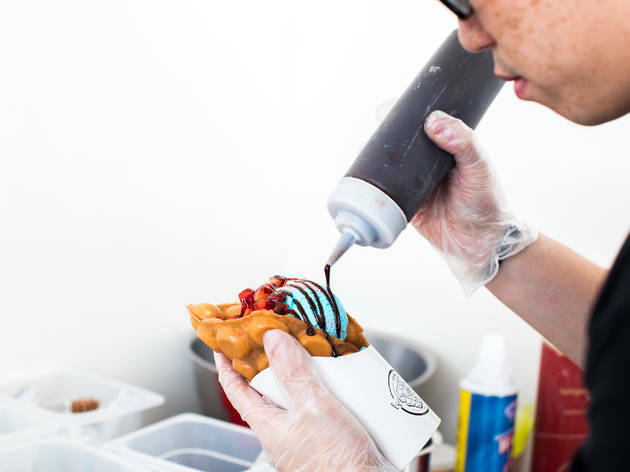 On the heels of raw-cookie-dough phenomenon DŌ comes another Instagram-friendly dessert shop. 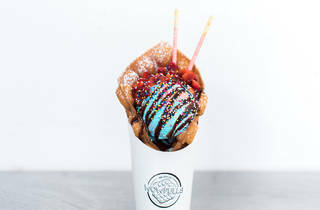 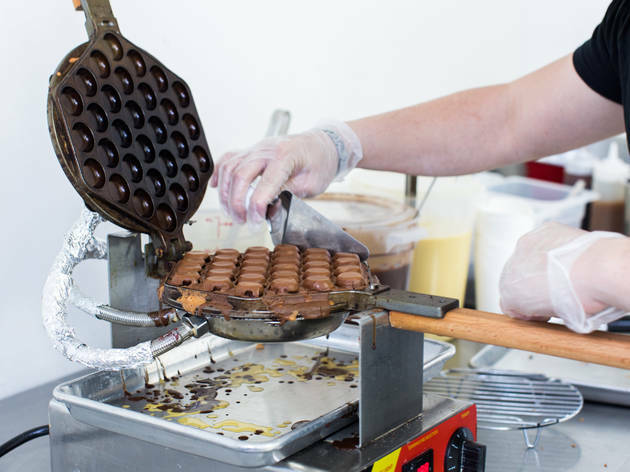 Wowfulls has previously hawked its ice-cream-filled Hong Kong–style egg waffles at events like Governors Ball and Smorgasburg, and now the operation takes permanent residence on the Lower East Side. The shop offers the colorful street-food sweets in four varities—original, chocolate, matcha and flavor of the month—with scoops like cotton candy Pop Rocks and Oreo Captain Crunch. 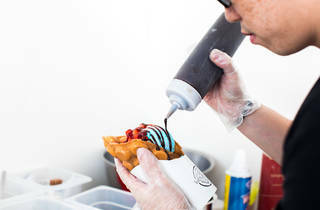 The storefront also features a rotating art wall: Graffiti hearts by neighborhood artists James Goldcrown are on view for the opening.